We know crossbows. We have the largest selection in the stateline area. In case you didn't know, Illinois now allows everyone to use crossbows during the entire archery season. It is no longer only for the disabled. The crossbow industry is seeing some huge innovations these days. Not only are crossbows extremely fast, they are also extremely accurate. New features like built in cranks to help you draw it, the ability to decock the bow, improvement in the triggers and calibrated drop compensated scope crosshairs. We not only sell crossbows but we are an authorized service center for many manufacturers. 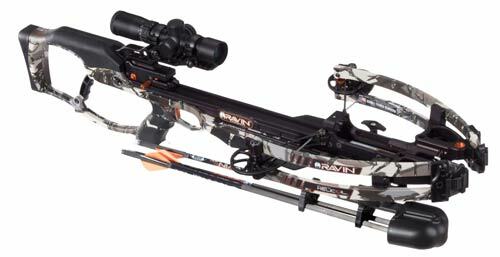 We can service your crossbow should you have a problem and we also can replace your string and cables when needed. We have a lot of accessories for crossbows including lighted bolts(arrows), slings, scopes and can give you advice on broadheads. Stop in and we'll show you the latest crossbows with the latest features.